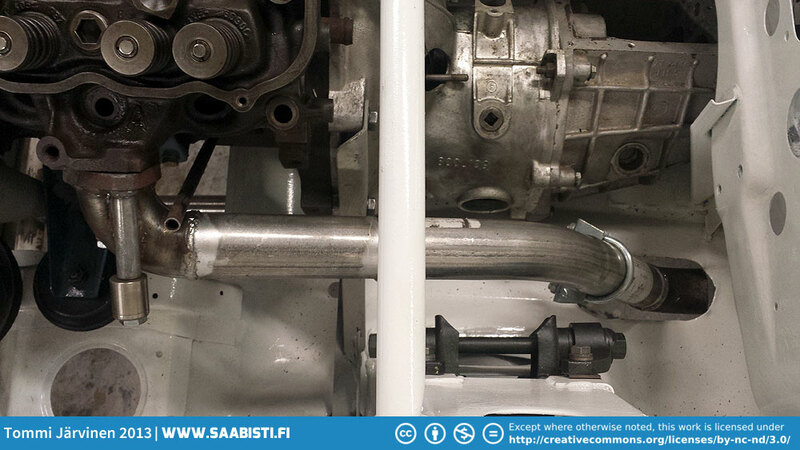 We started to make the exhaust system as it is much easier to do now that the car is still suspended on the “grill”. After we get it done it’s time put in rest of the suspension, drop the car on it’s wheels, and start putting stuff in (like the dash, heating, etc.). 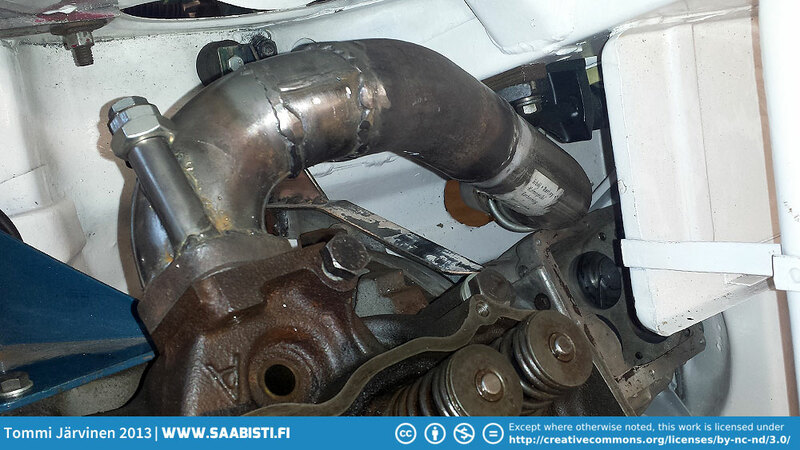 The exhaust system is basically an adaptation of the factory version. 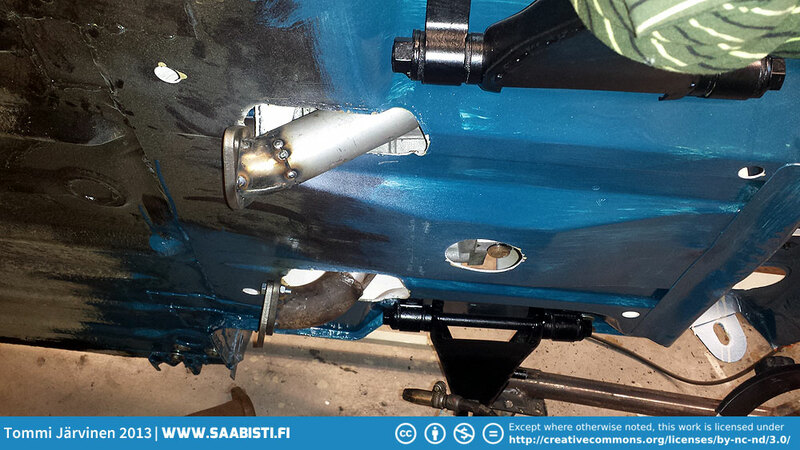 Two inch pipes routed out next to the gearbox, and into a 2.5 inch and strenghtened to take the beating. 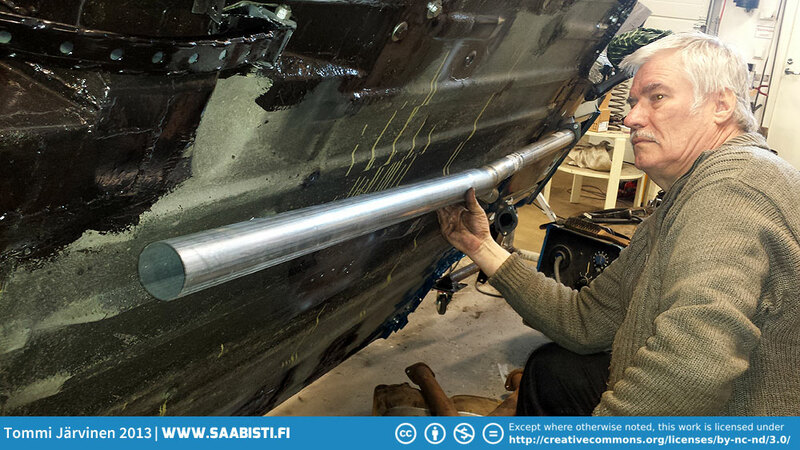 Fitting the passenger side exhaust pipe. 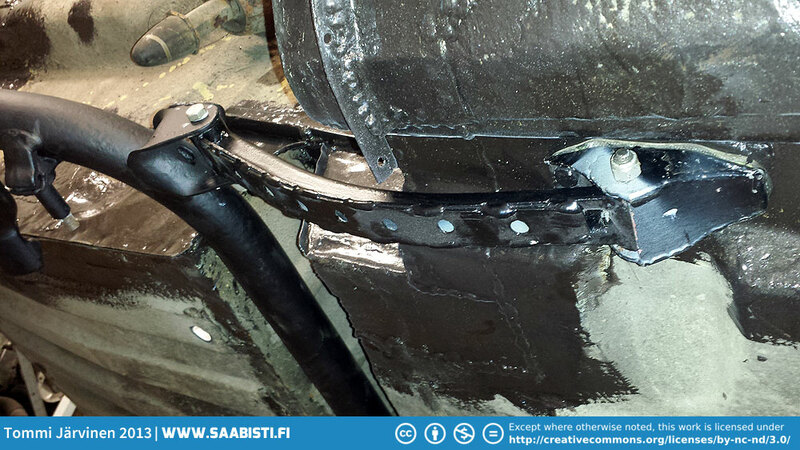 Quite a bit of work in routing the pipe under the battery and around the pillar. 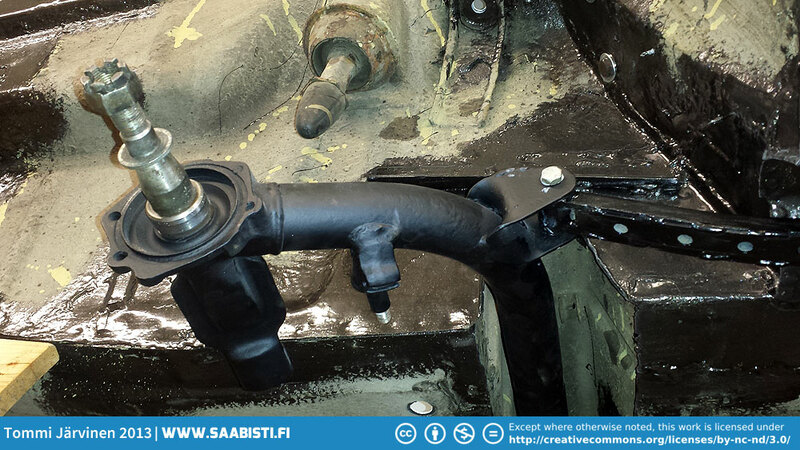 The driver side pipe is much simpler. The pipes exit next to the gearbox. And the exits under the car. Dad mocking up the 2.5 inch exhaust pipe. 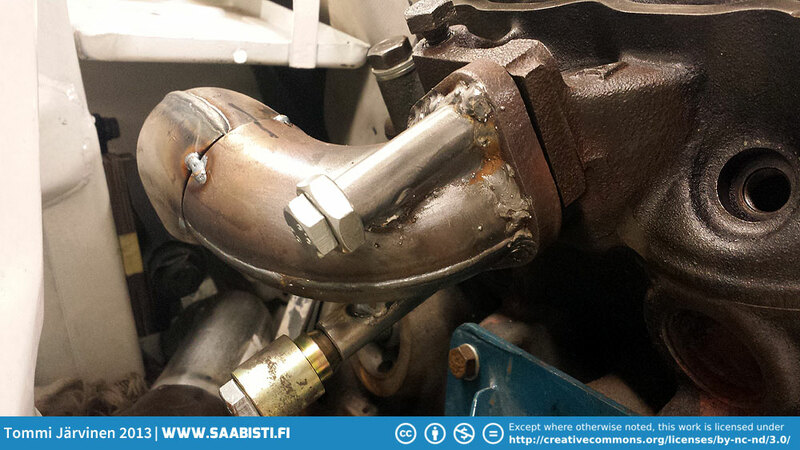 We put in the strengthened mounts, swing arms, and axle to figure out the path for the exhaust pipes. 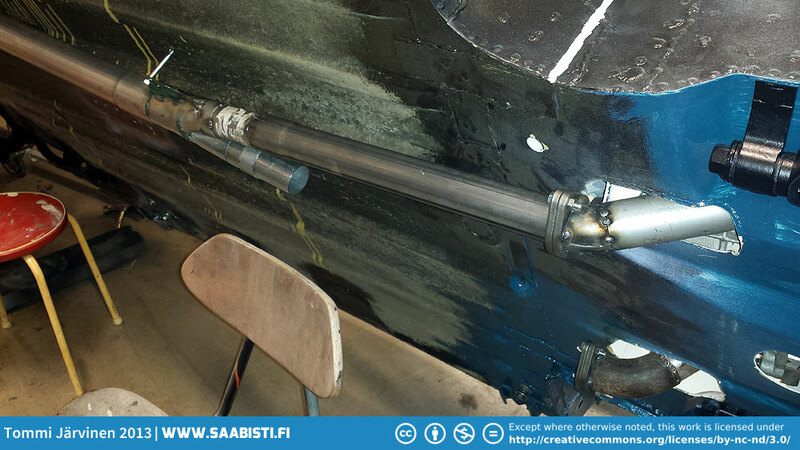 The Saab 95 rear axle. 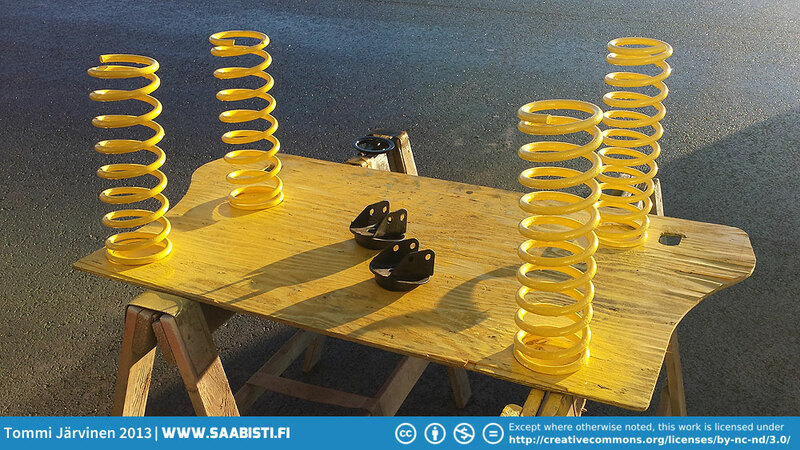 I also painted the springs – regular V4 springs in front, the stronger 95 springs in rear. Springs for the V4 Rally. 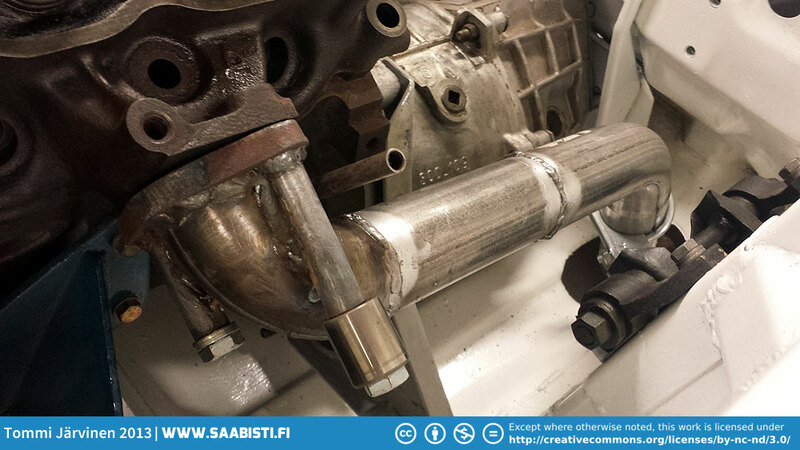 Next PostSaab V4 Rally – working on the exhaust system, done!